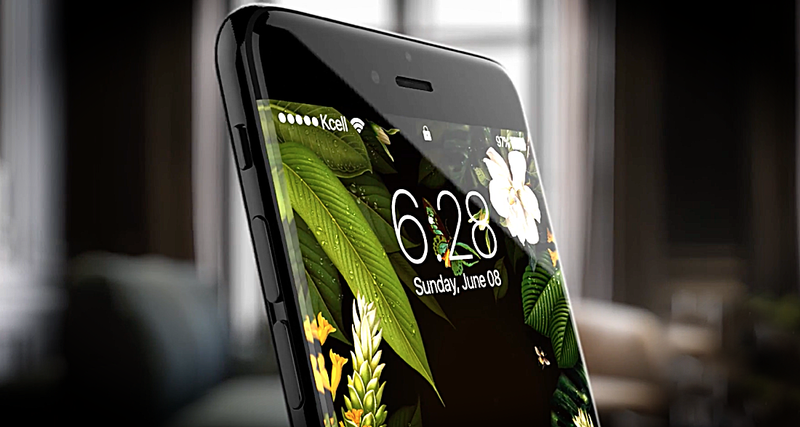 We are huge fans of curved edge displays, and when we saw this iPhone 8 concept featuring it, we couldn’t hold ourselves back. Usually, whenever we have an iPhone concept at hand, there are a lot of things that make the entire masterpiece complete fiction. It just does not look believable enough for a wide variety of reasons. But today’s iPhone 8 concept, designed by Iskander Utebayev and Ran Avni, takes the cake in a wide variety of ways, especially design. Rather than jumping the gun with outrageous features, the designers took a very subtle approach. An approach which Apple itself implements in design. Conjuring something new, while keeping elements of the old one alive in the most subtle way. As you can see from this particular concept, the design is extremely familiar. So familiar in fact that it can be passed up for an iPhone 7 if that wonderful looking display doesn’t light up. Speaking of which, the display curves around the sides of the phone, which feels just right. In fact, if you remember the Galaxy Note 7, then you’ll feel right at home. It’s neither too much, nor far less. It’s just right, the way it should be. In the camera department, the concept designer has imagined an interesting little change which blends in well with the design. Rather than putting a camera sensor in the most discrete manner possible, the sensor is lens is hidden under the Apple logo. The only thing that’s clearly visible is the flash, that sits snuggly at the top of the phone. But hiding the camera away behind the Apple logo is pure genius, and something which Apple should absolutely pull off in their smartphone. Apart from that, there are no interior hardware details available for this particular concept. That’s a good thing actually, as it does not set an unrealistic expectation bar. Let us know in the comments section below what you think about today’s concept.